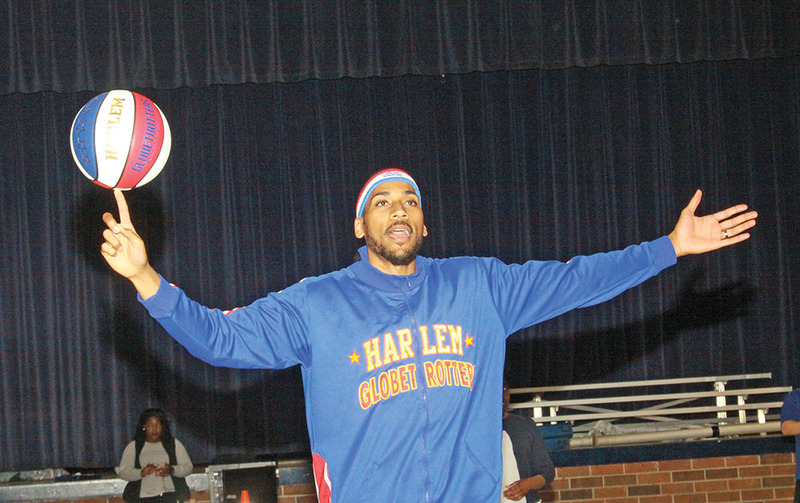 Harlem Globetrotter and N.C. A&T State University alum, Zeus McClurkin visited Northeast Guilford Middle School to deliver an anti-bullying message to the students. “At this age, bullying is more prevalent for them. I want them to understand that you don’t have to be mean to others to succeed,” said McClurkin. The program was presented by the Globetrotters’ Great Assist initiative, which is allowing the team to leave its mark in communities across the U.S. with acts of kindness and goodwill. Some examples include bringing schools messages about bullying prevention, character development and physical fitness. The Globetrotters have also visited children’s hospitals, volunteered after natural disasters and in soup kitchens. McClurkin stopped by Cornerstone Charter Academy and Northeast Guilford Middle School on March 21 to talk about the “ABCs of Bullying Prevention,” the interactive program focused on “Action, Bravery, and Compassion,” covering three key ways kids can help reduce bullying in their communities. Northeast Middle School was selected through a radio contest, where Kim Caps, the mother of seventh grader Robbie Spry, submitted her son’s name and school. Spry’s mother said that her son had been a victim of bullying, so she was glad the students had a chance to participate in the program. Seventh grade social studies teacher, Regeina Galloway said she believes the event will help students think before bullying someone in the future. “I think this event opened the students’ eyes to when they get ready to pick on someone, they will stop and think about what went on today. It was also a way to show students that there are good things going on here at Northeast and that they have the tools they need to help end bullying,” she said. Founded in 1926, in Chicago, the Harlem Globetrotters have entertained more than 144 million fans in 122 countries and territories worldwide, over the team’s 90 year history. McClurkin discussed the history of the Harlem Globetrotters, pointing out how the team helped to break down race and gender barriers in the NBA (National Basketball Association). “Not allowing anyone to play a sport because of the color of their skin or gender, is bullying,” he said. McClurkin used the team’s signature ball handling skills, with a dash of humor, for a well-balanced presentation that informed and entertained the students, ending the event with his Guinness World Record breaking slam dunk. 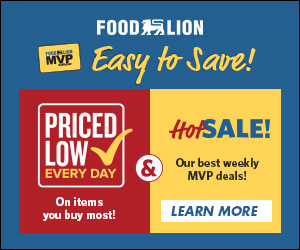 The world famous Harlem Globetrotters will be performing at the LJVM Coliseum in Winston-Salem on Friday, March 24, at 7 p.m. and at the Greensboro Coliseum on Sunday, March 26, at 3 p.m.